Russian Snipers played a critical role in the Battle of Stalingrad. 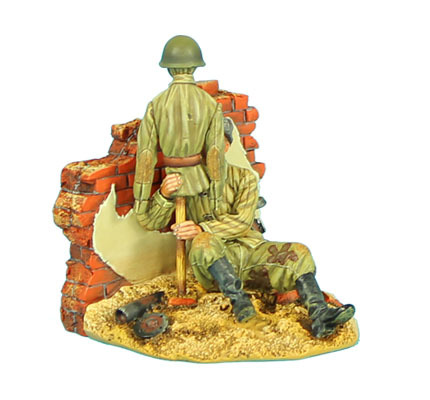 More than any other weapon that the Russians had, snipers demoralized the Germans who could barely stick any part of their body out of cover for even a brief moment least they be shot dead. 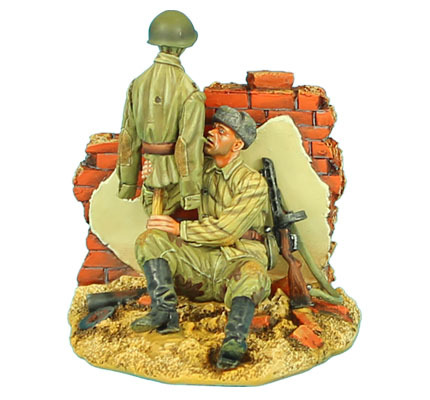 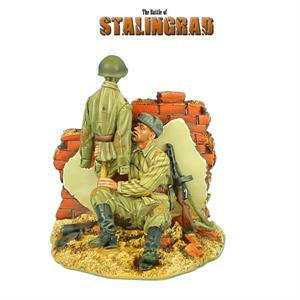 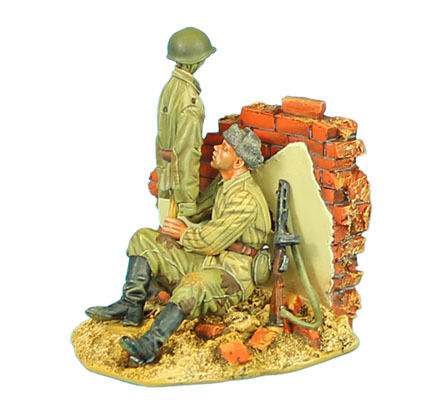 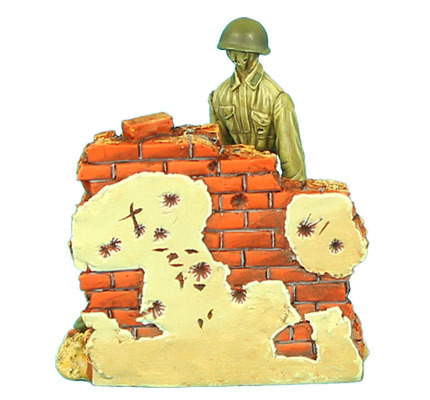 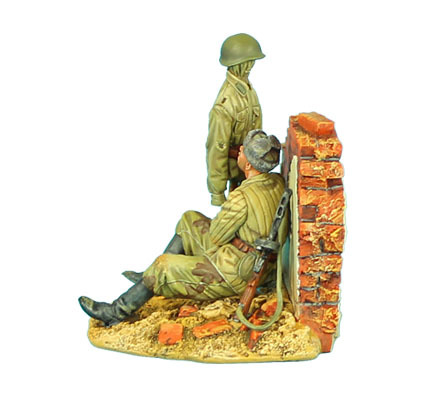 This particular set, inspired in part by "Enemy at the Gates" features a Russian sniper in camoflauge pants using a "dummy" body to draw fire from a German sniper, forcing him to give away his position.